Connor Tapp of the HalfCocked Show podcast and 247 Sports joins us to talk about Steve Spurrier’s first year at the helm at South Carolina. The first game hoopla including a visit from ESPN, Big & Rich, and a prediction from Lee Corso (one that he is still right about BTW). Antonio Heffner’s ever so brief stint at QB and calling two timeouts at Auburn before running our first offensive play. Big wins over Tennessee, Arkansas and Florida (here and here), and the emergence of Sidney Rice and Kenny McKinley. A disappointing finish, and a long drive home from Shreveport, LA, for Connor. 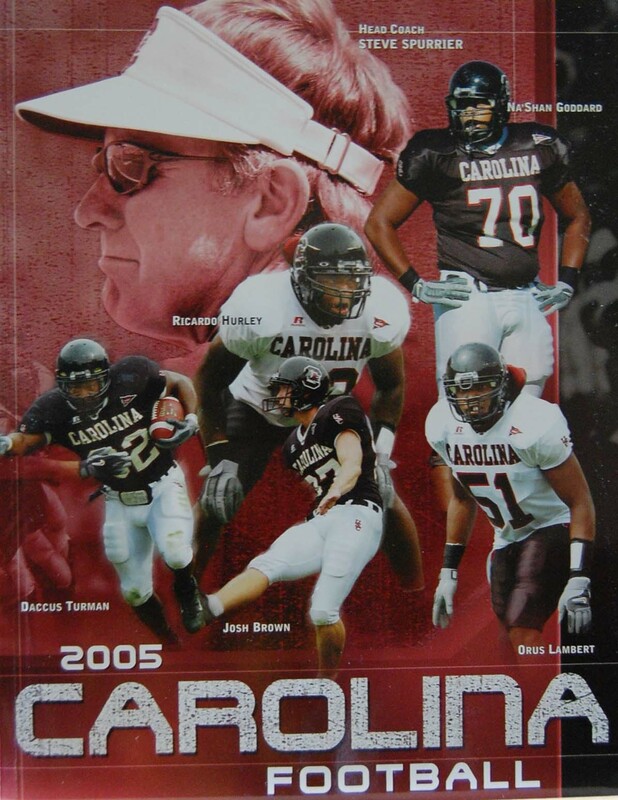 All this and much, much more on the 2005 Gamecock Flashback.